We’re a simple, honest talking blog showcasing what we consider to be the very best boozers in Nottingham city centre and the surrounding districts. Can I pay for a listing then? Nope. NottsNight isn’t like some review sites which, frankly, take the mickey. Reviews are included purely on the merit of an establishment. There are two main things we look for: good beer (mainly real ale, but we don’t mind well kept craft beers) and a good atmosphere. Without these elements, it’s unlikely you’ll be included. Can I request an entry? We now have over 60 pubs on NottsNight but if you’d like your place to be considered for a future review please email nottsnight@gmail.com. We’ll always acknowledge your message, but we won’t tell you when we’re visiting. We pride ourselves on reviews unbiased by bribes! Providing you don’t own or run a pub, yes you can. Click here for details. Do I get to have my say? Yes you do! Each review is open to comments, and whoever you are you’re welcome to leave your views. Comments will generally be left in place unless they’re offensive or discriminatory – but we do encourage both honesty and humour. 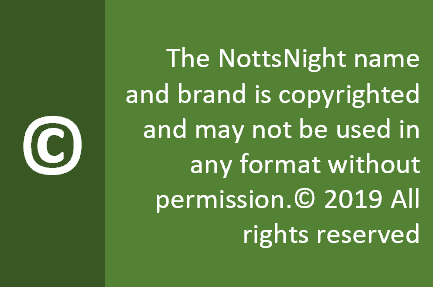 Nothing – believe it or not, NottsNight is completely independent of any pub or bar company and we’re not seeking to make money from this. We’d love you to spread the word with your friends and customers.